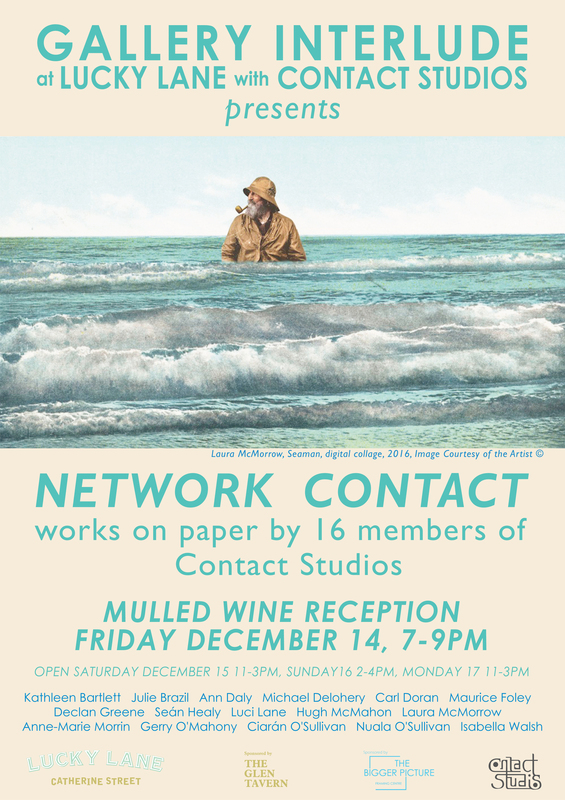 Our 5th, and last show in Gallery Interlude for 2018 is Network Contact, a group show of works on paper, predominantly drawing, by 16 artists of Contact Studios. 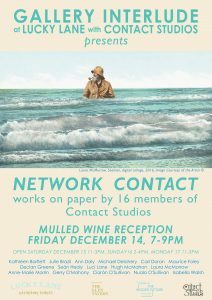 The artists span the 21 year period since Contact was established, and highlights the diversity of approaches and mediums employed by these talented individuals. The night will kick off at 7pm as usual, and given the time of year, we will serve mulled wine to our guests. Coincidentally, December 14th marks the first day of Lucky Lane’s (our hosts) fifth anniversary of opening, so we’ll also have a rather special launch, with music and fun, and some fundraising for good local causes. Next Next post: Celebrating a year of Gallery Interlude, and ringing in the next!